Whenever life takes you away from your pets, TLC House & Sitting service will come to your home and care for your pets. 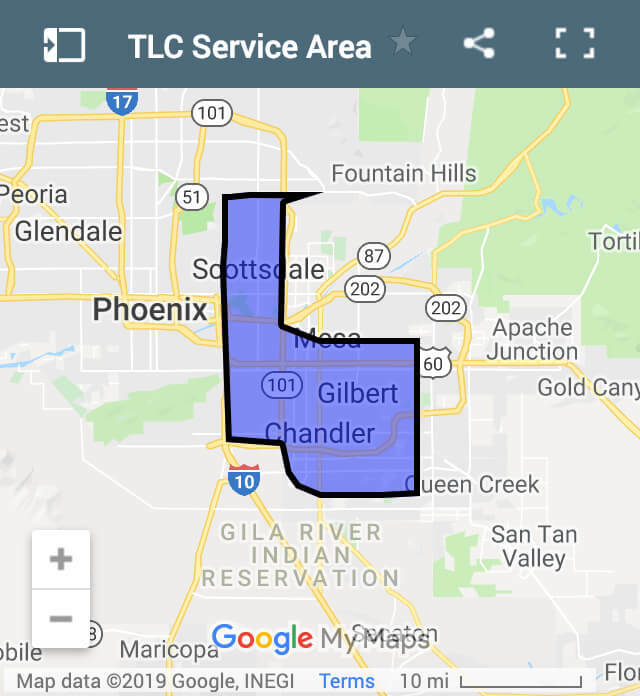 TLC provides service in the East Valley since 2001 and our sitters are license, bonded and insured. We come to your home and care for your pets. We tailor our services to follow your pet care routine to the detail. This includes fresh food and water, exercising, and administering any medication your pet requires. Most importantly, we will give your pet lots of tender loving care. Dogs generally require 1-3 visits per day or overnights. Cats usually require 1-2 visits per day. Each visit is approximately 30-40 minutes and overnights are 10-12 hours. While we are visiting, we can also provide home care services, such as picking up the newspaper, collecting mail, alternating lights, and watering plants for no additional charge. For an accurate quote please call our office to discuss your pet’s needs and we can discuss what type of service that is best for you and your pets. We care for most such as dogs, cats, rabbits, hamsters, guinea pigs, ferrets, birds, fish and small reptiles. If you have a pet not mentioned here or a questionable type of pet, we may or may not be able to care for it. Contact us to inquire about your pet. During this first meeting at your home, we give you the opportunity to meet your pet sitter, ask questions and observe how we interact with your pets. Then we can complete the necessary paperwork, answer questions, transfer keys, and tour your home while discussing detailed instructions on how to care for your pets. We will collect payment (new clients only) for service at this time (cash, check or you can pay by credit card via phone or PayPal). At the Meet and Greet your sitter will review our Terms & Conditions and Vet release required before we can provide any service. This is for your safety and protection. Please call our office to get started with your paper work for the Meet and Greet. Once you have register with TLC a sitter will call you to set up your meet and Greet. Please give our office at least 5 business (non holiday) 10 business day (holiday visits) notice before you’d like service to start services. Last minute reservations are subject to a late booking fee. This gives our sitters enough time to meet with you and your pets before we provide service for you. TLC office manages all client’s accounts, scheduling, cancellations and payment.TLC sitters care for your pets in your home and will keep in touch with you while you are away via phone, text, notes at home,email or your account online. TLC will make a reconfirm call and/or email no less than 5-10 business days prior to each departure in order to verify that all information (departure/return dates and times, pet information, contact numbers, etc.) is up to date. TLC will obtain two copies of your house key (1 for the sitter and 1 to remain in the office in case of emergency) during the initial visit, when service is scheduled and agreements are signed. It is recommended your key remain on file with TLC for convenience in future use of our service and to schedule services via phone or online, thus avoiding future key pick up charges ($15). Clients that do not have their keys prepared for the initial consultation will also incur a $15 key pick up charge to cover the additional trip. We require at least TWO copies of tested keys for services at the time of the initial Meet and Greet. Two copies are necessary to avoid interruption of service in the event of an emergency. Therefore, we are always prepared for any emergency for you and your pets. In addition, All keys are coded for the safety of your home and pets. We use specific key codes which DO NOT include ANY personal information and your keys are locked away during non-service times. If you wish to NOT have TWO keys at time of consultation, you will be charged a key pick up fee, unless other arrangements are made. We gather (cell, hotel, friends, family, or neighbors) information in event we are unable to reach you. TLC requires payment in full prior to pet sitting. If making a reservation for the holidays, we require a 50% deposit, if it is less than two weeks before the holiday. We accept cash, check, or major credit cards. Additional fees: Surcharges: Holiday (listed below), late booking (3 business days or 2 weeks for holidays), Key pick up/returns in person, emergency, additional Meet and Greets after initial one. Holidays: Easter, Memorial Day, 4th of July, Labor Day, Thanksgiving, Christmas Eve, Christmas Day, New Years Eve, New Years Day. At Meet and Greet you will be required to show proof of current rabies vaccinations for dogs. TLC will go over with you our vet release form. Be prepared to provide contact information for your pets’ veterinarian and pet guardian. TLC sitters can administer pills and injections to your pets for no additional charge. TLC Clients MUST notify TLC when they return home on TLC’s (24) hour voicemail service at 480-588-1364 Ext. 43. If TLC does not hear from TLC Client when TLC Client arrives home, according to the TLC Client’s arrival day and time on the TLC confirmation, TLC will automatically extend TLC Client’s contract for services as if TLC Client had scheduled the visits in advance to ensure the safety and welfare of TLC Client’s pet(s) and TLC Client will be responsible for all related charges.